Would have liked a longer running time and more performances. 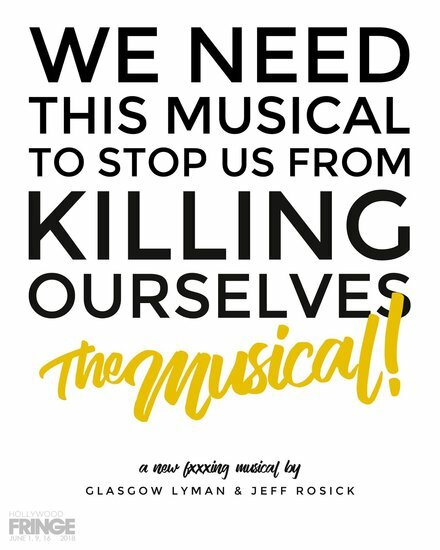 We ALL needed this Musical To Stop Us From Killing Ourselves!! Seriously, who doesn’t need a good laugh these days, there are so few laughs these days! Too bad tonite was the last sold out performance of this creative, clever, timely, biz oriented musical. Word of mouth alone would sell this show out for several more perfs. Great writing, music and lyrics by Glasgow Lyman and Jeff Rosick!! Adyn Wood rounded out this perfect trio of energy, chemistry and timely zingers. Too short for my liking, i wanted more!!!!!! But then, that’s the way ya wanna leave ’em…wanting more.